The rise of the machines was always going to come at a cost, as each wave of technology destroys what has been put in place. The frenetic pace of technological development in the areas of artificial intelligence and robotics is causing massive shifts in the finance industry. The impact is already being felt on Wall Street, where there have been far-reaching and significant changes, with technology eliminating many jobs by replacing hundreds of humans with either robo-advisers or software. Many investment banks and big institutions, in a bid to cut cost and improve efficiency, use AI to automate financial tasks usually undertaken by humans, such as wealth management, operations, risk management, and algorithmic trading. One of the areas that the Wall Street has seen the greatest disruption of robotics and AI is the execution of buy and sell orders, where robots carry out between 50% to 60% market trades, according to CNN, citing data from Art Hogan. Hogan is the chief market strategist for B. Riley FBR. The preference for technology over human traders is premised on the inability of the vast majority of traders to act consistently rationally when trading. Often, people fail to control themselves, allowing emotions to get in the way of their thoughts and actions. Machines don’t suffer from these psychological issues when a major trading decision is being made. This is because they remove emotion from short-term trading activity, allowing for a more objective approach to trading. Artificial intelligence and robotics is fast advancing into the investment sector, where its incredible ability to learn and think will eventually make them the most advanced and complex investment systems capable of helping corporations to make more efficient and effective choices. 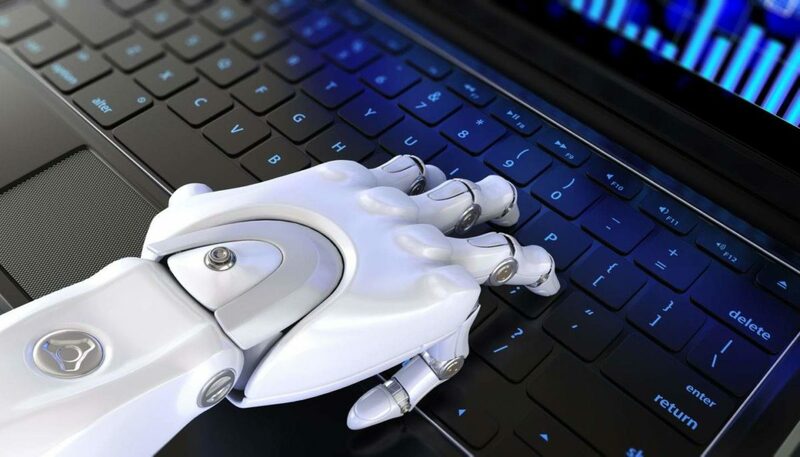 For instance, advisory bots are increasingly being used by companies to assess investments, deals, and strategies in a fraction of a second, much faster than any human quantitative analysts using traditional statistical tools. Such is the growing dominance of robots in the finance industry that former Barclays boss, Anthony Jenkins warned they could displace half of the workers in the banking sector, and lead to branch closures. Activities such as calculations based on structured data and other repetitive support tasks are the most susceptible to automation because robots are well-suited for them. While AI is probably the most robust technology there is today; its ability to perform complex tasks is limited. Trading machines can only learn historical data and trade patterns. However, stock market behavior changes all the time and computers can be less adept in the face of unexpected market performance. Humans can easily adjust themselves to these changes. Getting the robots to do the same, however, will require changing their algorithms, which can be too expensive and time-consuming. For this reason, humans will always be a step ahead and remain relevant. Robots are gradually changing the face of modern banking. Think the ubiquitous ATM, virtual tellers, or even robo advisors in wealth management, which may soon become a common sight in the financial services industry. Their potential invasion into the banking sector has many observers worried about how it could affect the industry. Proponents of these technologies argue that they have the potential to reduce costs, expand skills, and improve customer experience. Skeptics, on the other hand, are worried that the rise of the robots could mean the beginning of the end of human participation in the banking industry. While people still perceive robots as threats, a study conducted by IT and consulting firm, Cognizant reveals that this need not be so. The research found that automation and technology should not be feared as they actually offer benefits that may not be possible otherwise. Findings from the study revealed that front-office and customer-facing automation brought about at least 15% cost savings each year. Other benefits of automation were found to include more standardized process workflow, lower error rates, improved management of repeatable tasks, as well as a lesser need for multiple systems or processes to complete an operation. Indeed, the fusion of digital technology and automation into the banking industry has enabled managers to offer more streamlined and efficient products. Many people worry that the rise of automation in the banking industry could lead to a massive trend of unemployment for bank workers because these technologies would do the work of many employees at a cheaper cost. They opined that as technological advances are made, jobs that previously required manual oversight will be in short supply, leading to a fall in demand for human workers in the banking sector. Such concerns have lingered on for years. However, research carried out by Accenture suggests it may be wrong to conclude that the rise of automation in the financial services industry could lead to job displacements in the sector in the long run. 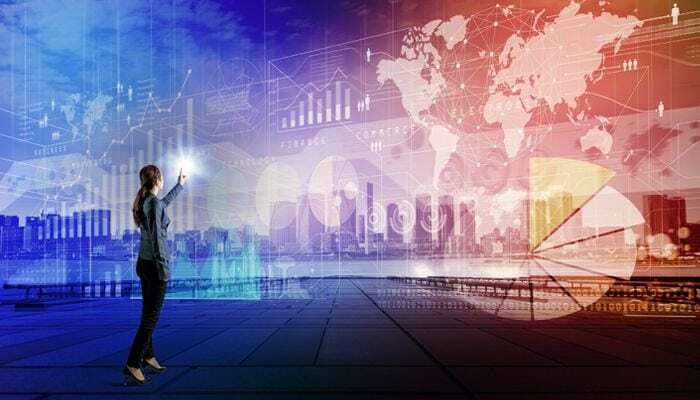 The study shows that contrary to such widespread beliefs, organizations who embrace intelligent automation may see their revenues increase by as much as 32 percent by 2022. More importantly, employment could also rise by 9 percent over the same period. This, it is believed, will be occasioned by job change and evolution. More so, humans will be needed to teach, monitor, and maintain these technologies. On its part, automation will boost human skills and judgment. Not to mention that banking sector jobs that require creativity, judgment, and empathy will still need humans to be in control. People often find themselves questioning how best to quickly save up money to get out and travel the world and we don’t blame them! Saving money is hard enough, but add in a desperate want to explore the hidden gems of the world and a lack of money to get there and it can be frustrating! Luckily, saving up to travel doesn’t have to be difficult, nor does it need to be a long process. With the right frame of might, you can save up all the money you need and jet off in as little as couple of months – well, once you have completed your E111 renewal application, of course! From having a dedicated travel fund, to resisting buying those clothes you want, but really don’t need, we’re here to explain efficient ways you can save up money to travel in more detail below. When you have a dedicated travel fund, you will save up money to travel much quicker than if you put the odd couple of pounds aside in your purse, and if you really want to travel, you won’t dip into your saved funds! 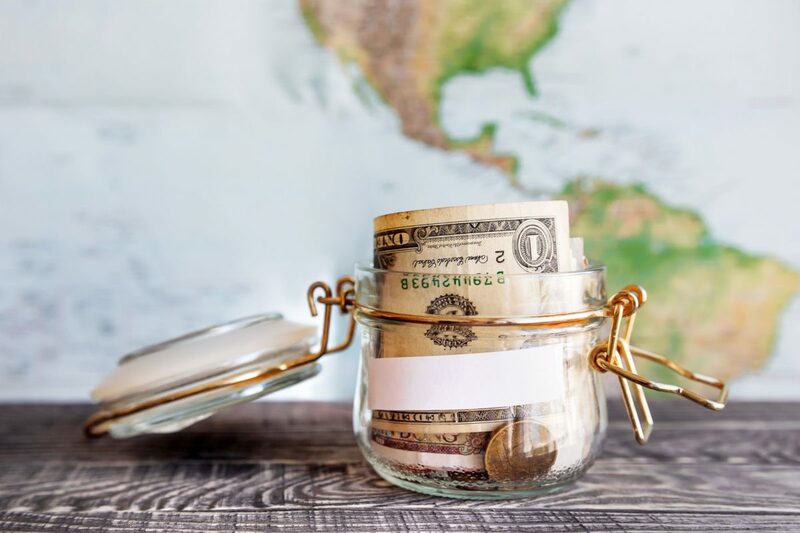 It doesn’t matter whether you decide to open a savings account or simply start a money jar to get you started, when its staring at you, you’re far more likely to put the cash you need aside in order to travel. A great way to save up money to travel is by spending less on your lunch. These days, it’s far too easy to pick up a meal deal on your way into work, and whilst a £3.00 meal deal seems like a good deal for a sandwich with your favourite filling, packet of Walkers crisps and can of coke, the cost can add up quicker than you can eat it! Think of it this way, if you buy a £3.00 meal deal for every working day of the week, you are spending approximately £60.00 a month on your lunch alone, which could cover the cost of your flight depending on where you plan to travel to! The moral of the story? Make your own packed lunch! Saving up money to travel can be as simple as to stop buying. Whilst you will (obviously) need to buy groceries, you can save a tonne of money by restraining yourself buying the latest gadgets or clothes. The next time you want to buy something, ask yourself: do you really need it? More often than not, the answer will be no. It takes a whole load of courage to put something you really want – but don’t need – down, but when you step on board that plane, you’ll be more than happy that you did! It’s a given. Almost all of us are subscribed to websites, such as Netflix, and have gym memberships we try our utmost to avoid no matter what we promise ourselves in the New Year. In order to save up money to travel, get rid of any subscriptions you no longer need and any memberships you can simply do without, because, let’s face it, if you haven’t already used your gym membership card, it is highly unlikely that you will in the next few months! Write A Shopping List, And Stick To It! The next best way to save up money to travel is to write a list when you go shopping, and stick to it! It is far too easy to walk into your local supermarket and pick up the latest offers, snacks that tickle your fancy and food you simply don’t need to buy. In order to avoid impulse purchases, a grocery list is the perfect way to save money that you can put towards travel and it save time because you will know exactly what you will be having for dinner before you step through the sliding doors. There a countless ways you can efficiently save money to travel, these are just some of them. From cancelling unwanted subscriptions and costly memberships to spending less on lunch by quitting the meal deal fad and making your own packed lunch, saving up money to travel really isn’t as difficult as you may think. Since Donald trump came to power in 2016, there have been tensions between the US and various other countries which have caused economic and political shockwaves around the world. At the start of the year, tensions between the US and North Korea seemed to be escalating rapidly, and relations with China were stretched with talks of a trade war occurring. Most recently, Trump’s decision to withdraw from the Iran deal drew widespread condemnation from global leaders, suggesting it was a controversial and potentially consequential move. Here are some of the ways this may affect the dollar. 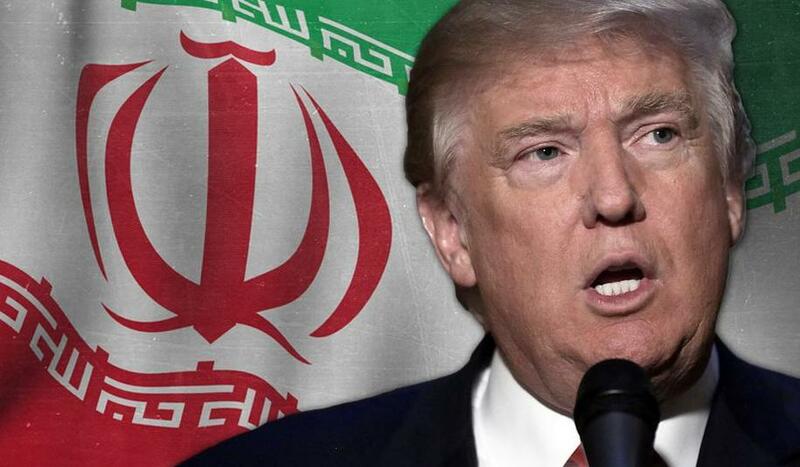 The tensions between the US and Iran may well cause volatility in the dollar, given that it is a controversial move which will greatly restrict economic relations between the two countries. Some even believe that other countries may benefit from this, as they try to bypass US sanctions and pay for Iran’s major export, oil, in their own currencies rather than the dollar. This could end the era of the petrodollar, which has benefitted the US for many years. As such, the dollar’s value may well sink as other countries race to take advantage of this. By withdrawing from the Nuclear Deal and putting sanctions on Iran once again, the US may well find that some businesses suffer as a result. Those which were previously dealing with Iranian companies will now find it much harder to do business with them, which could, ultimately, lose them profit. This may well lead to a dip in their profits, potentially affecting the value of some company shares. Some groups may even need to use the services of investment advisors like Wellington Management Funds before choosing stocks to invest in, so that they can navigate some of the stocks which may lose value as a result of recent events. The price of oil has already shot up to over $80 a barrel since the US placed sanctions on Iran once again, meaning that the sanctions themselves may well have had the opposite intended effect (given that the oil industry is a major part of Iran’s economy). This could be bad news for US consumers, as it may well make a number of commodities (such as petrol) more expensive, and potentially drive down consumer spending, once again harming the dollar’s value overall. The US withdrawal from the Iran Deal has caused a great deal of tension globally, and the full effects are yet to be realised. There will no doubt be further developments to come, many of which may have a bearing on the dollar’s value and fortunes, at least in the short term. The way we watch television today has dramatically changed from just a few years ago. It is no longer required to be tethered to the cable cord with several different streaming services such as Netflix and Hulu that could potentially save you thousands in the long run. 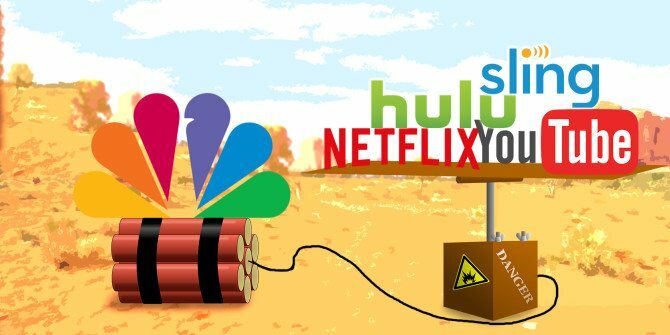 Cable bills generally come in at a staggering two hundred dollars per month, but most streaming services have memberships as low as six dollars per month. Several new streaming services such as Amazon Prime Video, Amazon Fire TV, and Sling TV there are no longer a need for these pricey conglomerates. There are several things you may need after you give the boot to your cable box and hardware devices you currently use to watch cable. For example, you will need an antenna, a streaming device like a smart TV, streaming stick or laptop type device and of course a streaming service. Very similar performance wise to the Mohu Leaf, the Flatwave antenna costs a mere ten dollars and is powerful enough to reach broadcast singles thirty miles away. Sense you are dropping your cable provider saving, even more money, (Leaf priced at $70) only makes sense, and the size is small and can be mounted just about anywhere with its fifteen foot coax cable. If you have a new smart TV, you are set to go because most of them come standard with streaming services like Netflix and Hulu already installed. If not grab inexpensive streaming sticks like Roku Ultra or a 4K player like Fire TV and Chromecast Ultra. If you’re a gamer, the PS4 and Xbox one have these streaming apps integrated in them already. There are the common streaming services such as Amazon Prime, Netflix, and Hulu to choose from but there are some others to consider today as well. If you desire a more authentic cable viewing experience then DirecTV Now, Sling TV and PlayStation Vue will deliver. However, these replacements for your cable will cost you far more than the more common streaming services. If you have not cut the cable cord yet due to losing your sports and premium channels like ESPN and HBO, we’ll wait no more, these highly sought after networks are cutting out the middle man. Every major network for sports, MLB, NFL and NBA, all have streaming services available, and you can now get HBO Live, Starz and Showtime streaming as well for a much lower price tag. Cut yourself loose from the behemoth cable monopolies and start streaming your way to leaving your hard earned cash in your wallet. Stop paying astronomical costs for watching TV and stream your way into the future. Today Digital Marketing become one of the significant keys for a various platform and as time pass it will become one of the potential platforms.The internet is highly used to promote a business because most of the people are depending on the internet for every activity and hence depending on the internet for developing business is becoming very common.There are so many e-commerce websites and you can get every type of product on the internet.To seek customers towards your website the SEO of a website is a vital factor as it directly affects your business.Therefore before opting for online business practices for SEO boosting should be considered well. There are various ways of online marketing.For better exposure of your product to get large numbers of users from across the world digital marketing will help you in a better way to take your business one step forward.To do say there are different types of practices for search engine optimization management and you can apply them to your website.Because a website is an essential component of your online promotion.Pay special attention to its design and structure and get a maximum outcome from it.Here are some tips that you must consider for boosting of the search engine optimization for your website. Once you built a reputation of your website you will start getting endorsements for it and sponsored or guest post are part of it.To recognize your work there are chances that you will get offers for sponsored or guest posts.When you start sponsored post be sure that the content must be quality content, opinions must be honest and must be user-friendly.The most important factor is to be considered that you should only opt for sponsored posts which are well related to your website and must be informational which provide value to users.You can get more different topics through Sponsored posts to elaborate your website.Just maintain the reputation of your website while doing sponsored post by selecting post which is suitable for your site. 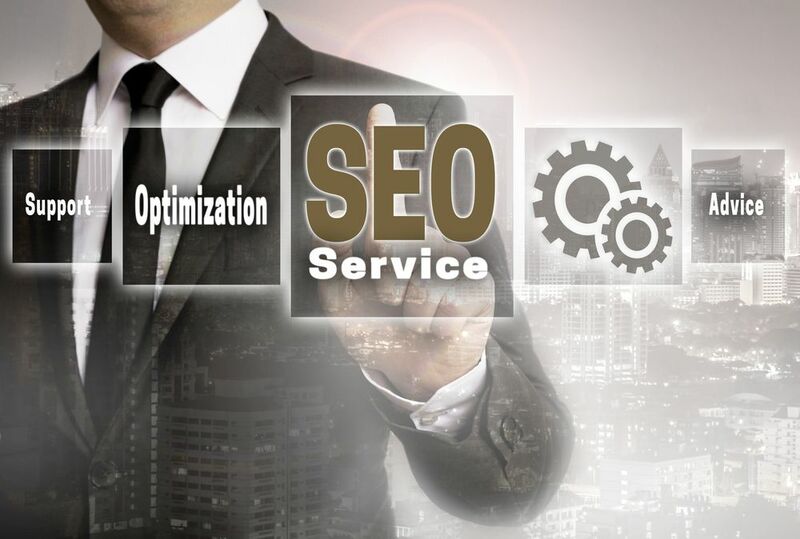 It is important to connect or tie up with another website for boosting the SEO ranking of your website. But care should be taken while link back to other sites, don’t link back frequently without any reason because its affect your SEO traffic.because this factor is considered a malpractice in the world of SEO management.If you have a business website the ranking of the site is crucial because it is not easy to get search engines if your site did not get the consistent user through the internet.The website should be relevant to your websites with you are working with so that readers should get a related link to your website and do not feel cheated. There may be a situation when you face difficulties or get confused about how to handle SEO traffic or website ranking. then you can take help of a professional expert.There are so many agencies which help you or provide authentic ways to manage your website and also business promotion works.Nowadays many businesses which help you to find appropriate SEO management agencies according to your need. It can be concluded that To get the proper kind of practices for your business SEO management services are essential.You can manage lots of things your own by studying or searching the internet but same time kept the thing in mind that practices should be legal. It’s an exciting time in the automotive industry. Just as technology has integrated thoroughly into our personal and business lives, so too is it changing the ways that we think about transport. The challenge now is for the car and trucking industries to adapt quickly and stay on top of the evolving trends and tech that are set to alter the dynamics of the way we commute to work and transport goods across national and international borders. Looking at the key technologies that are influencing the future of the automotive industry is key to understanding what changes to expect in 2018, and are the best way to keep yourself aware of the challenges that are yet to have a real impact. Elon Musk may have sent his old car into space, but that’s a little beyond the majority of most people’s budget. However, it may be time to trade in your older car for something that better reflects the modern thought and money-saving possibilities of what is now available. With options now available that include electric, hybrid, and low-emission vehicles, the cost of running that older model may seem excessive and unnecessary. To gather the funds for a low-emission car, you can get rid of your junk cars at Rusty’s Auto Salvage for cash. Then, use the cash to buy a more sustainable and eco-friendly vehicle. When the average household is spending almost as much on transportation as they are on their housing, it’s obvious that finding ways to lessen that cost are becoming a priority for many families. With savings of up to a third on your petrol costs, electric cars are becoming a more important essential for those wishing to not only lessen their carbon footprint, but also save some significant cash amounts at the same time. The car industry and automation have a long history. From the first production line by Henry Ford, car-makers have always sought to make the most of the technological ability to create faster and more efficient vehicles at a more rapid pace. With the advent of self-driving technology, this is set to become the next stage of evolution for every form of transport. That’s because automation is no longer restricted to the factories themselves, but to the whole notion of driving. 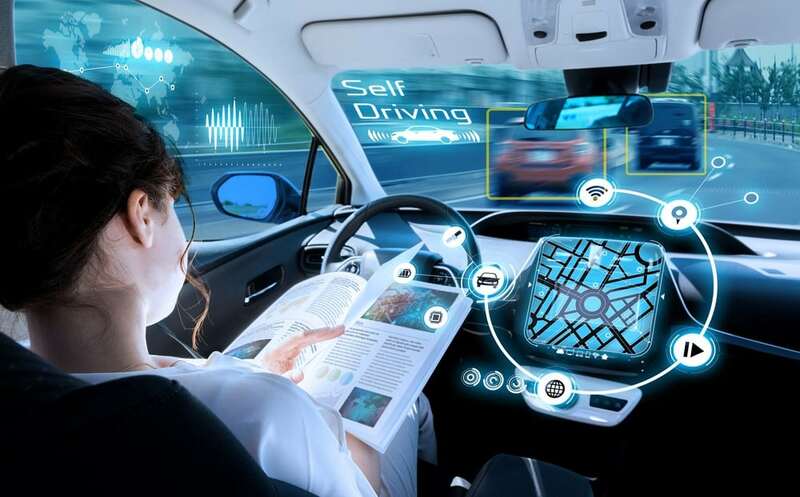 As corporations like Ford, BMW, and General Motors all spend vast amounts of money on perfecting self-driving technology, this is going to change the way that we drive. While there are valid fears regarding the impact on employment, the truth is that self-driving vehicles will be able to save trillions of dollars in time, insurance, and accidents, and only the most short-sighted are not making preparations for the coming transport revolution. As technology and environmental awareness continue to grow in influence, it’s time for every driver to consider their costs and make changes in order to maximize their potential for savings. As the automotive industry moves forward at lightning pace, the consumers are the ones who will be benefiting from the positive potentials that 2018 has to offer. Staying on the ball at work is crucial if you’re going to complete tasks to the best of your ability and stay focused. If you’re feeling fatigued, low in mood, or under the weather, then you simply won’t be able to do your work as well as you usually can. It’s vital to take a day off when you’re ill, but you need to turn things around if you’re continually feeling physically tired and distracted at work. If this chimes with you, then know that you’re not alone and there are methods to try to combat these feelings. Staying mentally focussed is more achievable than you might at first think, our below tips can help you to begin improving how you cope at work and home. Limit distraction and get organized to clear your mind at work. Firstly, arrange and clean your desk space from all items that don’t hold meaning or purpose. Remove clutter and anything which is broken or looks messy. If you’ve got a pile of paperwork that needs your attention, it’s time to sort it instead of putting it off. Make a concentrated effort to sort all work documentation and keep a well-organized file of all your pay stubs, your invoices, contract documentation and advisory literature. If you have a backlog of paystubs, you can save time and create them using a check stub maker. Avoid wasting your time, and company time, by being distracted by clutter and disorganization. This is easier said than done, but to stay focussed you have to have the mental power to stay on topic and avoid being distracted. Avoiding distraction might be as simple as working away from your friends in the team and moving to work in a more isolated space in the office. You should not be keeping your personal cell phone with you during work time, and especially during busy times when the most work is required from you. You should try and think of the cause of your distraction, and figure out if it’s because you’re anxious about something. You cannot afford to shirk on doing precisely this. You must stay hydrated if you’re going to improve your mental focus. 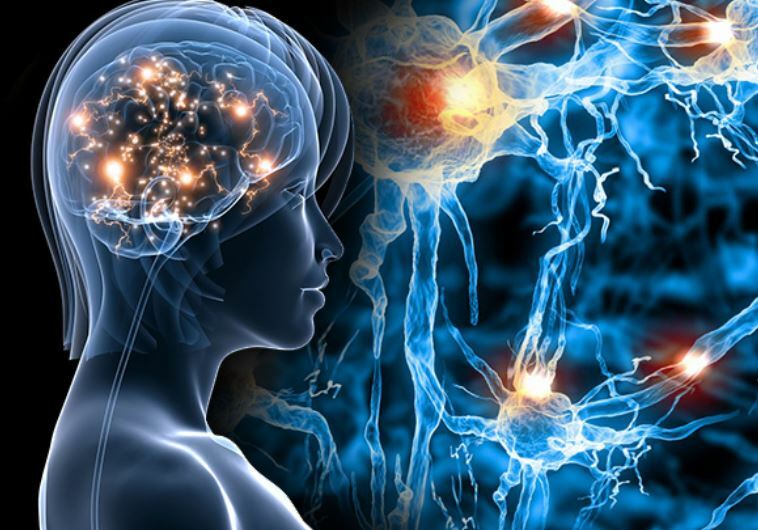 Your brain is up to 80% percent water, so you must keep it topped up and ensure you’re drinking enough H2O to replenish your body’s stocks. Staying hydrated encourages you to urinate and pass toxins from your body also. Staying hydrated throughout the day is going to boost your mental focus, so give it a try before you do anything else. Pay close attention to your diet, and in particular what you’re eating for lunch and breakfast. What you consume on your lunch break is going to affect your concentration levels after it’s over. If you’re eating a meal or snacks that are high in sugar, then you’re going to experience a sugar crash. Inevitably, what goes up must come down so you’ll hit a grouchy mood when your sugar stocks have depleted, and your blood sugar levels drop. To try and combat this, you should keep your blood sugars at a steady level throughout the day and avoid foods high in sugar and instead eat protein and carbohydrates. For a boost in mental focus, keep it topped up by snacking on things like almonds, carrot sticks, and edamame beans.